The countdown to International Rare Disease Day 2019 has officially begun. Taking place on 28 February, the 12th edition of the annual event will see Rare Diseases South Africa (RDSA) increasing the visibility of rare diseases among the general public. 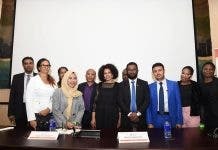 This year’s theme, ‘Bridging the Gap’ is dedicated to living beyond diagnoses, calling attention to support the path towards universal health care: ensuring the chronically ill, including those with rare diseases, are not marginalised and receive appropriate and timely access to diagnosis and treatment. Rare Disease Day aims to elevate public understanding of rare diseases, advocating for patient care and support and navigating the challenges that people living with chronic illnesses, including rare diseases and genetic disorders, and their families face every day. It is an opportunity to be part of a global call on policymakers, healthcare professionals, and care services to better coordinate all aspects of support. “There are over 6,000 rare diseases that affect over 300 million people worldwide. In South Africa, there are approximately 3.7-million people living with a rare disease. Each disease has an impact on patients’ everyday life, including the need for a daily care routine, usually coordinated by the person with a rare disease or their family members. Managing care-related tasks alongside work, school and leisure time can be challenging for people living with a rare disease as well as their family members or carers,” says Kelly Du Plessis CEO and founder of Rare Diseases South Africa. She further adds that our health care protocols need to adopt an inclusive model that is beneficial for all South Africans impacted by life-threatening or chronic disorders. 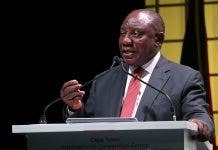 By living beyond advocating for our human right to access health care we need to look beyond those that are recognised by National Health Insurance as well as medical aid schemes. For most, the reality of daily life can include any combination of the following: collecting and taking medicines, attending appointments, participating in physical therapy, using specialist equipment and accessing various support services and specialised treatment. 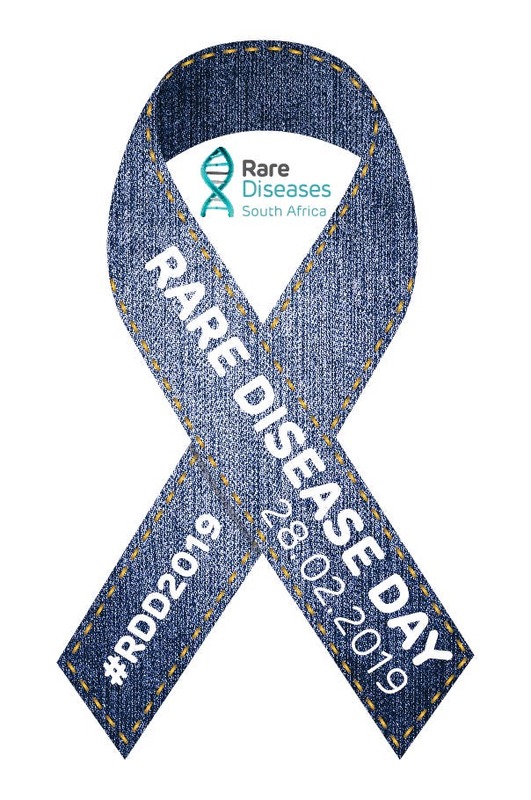 In support of Rare Disease Day, the public is encouraged to get involved by purchasing a denim ribbon for R10 and wearing their Jeans4Genes on 28 February. The denim ribbon is a perfect universal sign for rare and genetic disease awareness: Both are universal, come in pairs and are unique to the individual. In addition, blue is the colour of strength and the blue jeans denim ribbon is an ideal symbol that expresses solidarity and a simple concept that anyone can embrace to raise awareness and funds for rare and genetic disorders. Supporters of the initiative can #ShowYourRare, by posting images in their Jeans4Genes or painting their faces in the colours of a logo, taking a selfie with friends, family or colleagues and posting on any social media platform.